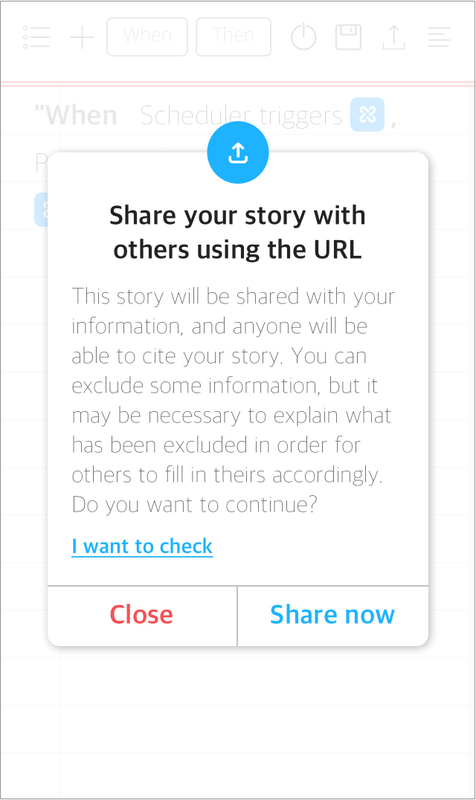 Thanks to Stories app's Cite feature, you can share your storylines with other users. By sharing your experience in automating your home or office, you allow other users to save time and learn more about storylines! 1. 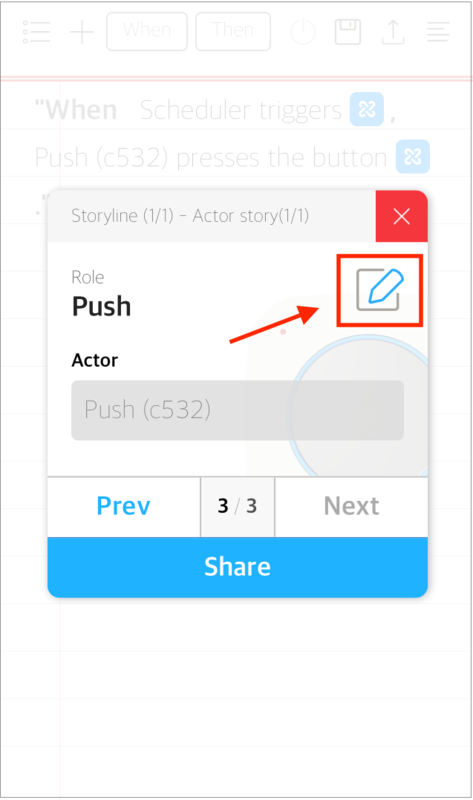 In Stories app, create and save your storyline. 2. 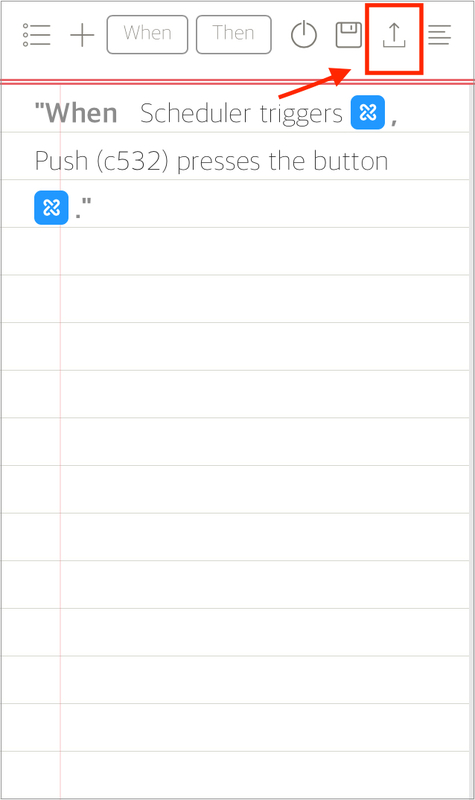 Click on the sharing icon at the top right corner of the interface. 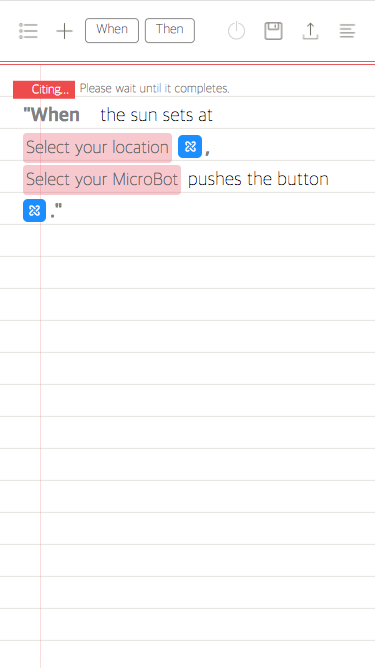 - either you share your story with your information: other users will see the story's parameters that you mentioned such as your MicroBot Push's name or your email address for example. If you do not mind sharing your information, click on 'Share now'. - or, If you do not wish to share your personal information, click on 'I want to check'. 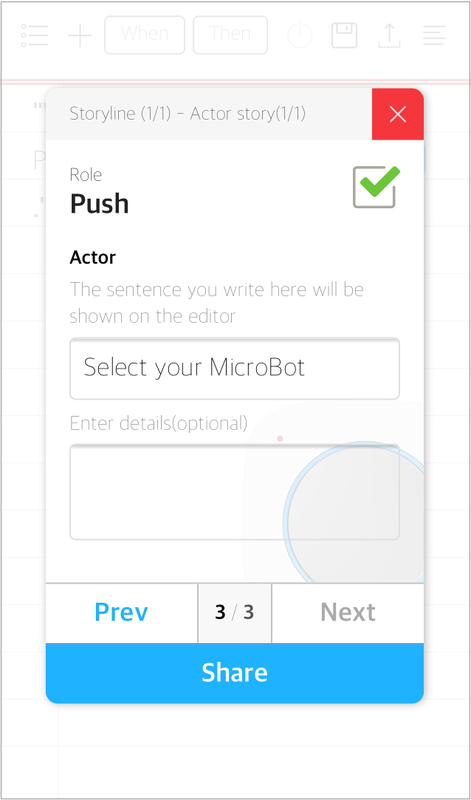 You will then be able to have a look at your story's parameters. 5. Click on 'Next' to continue editing the parameters and finally click on 'Share'. 6. 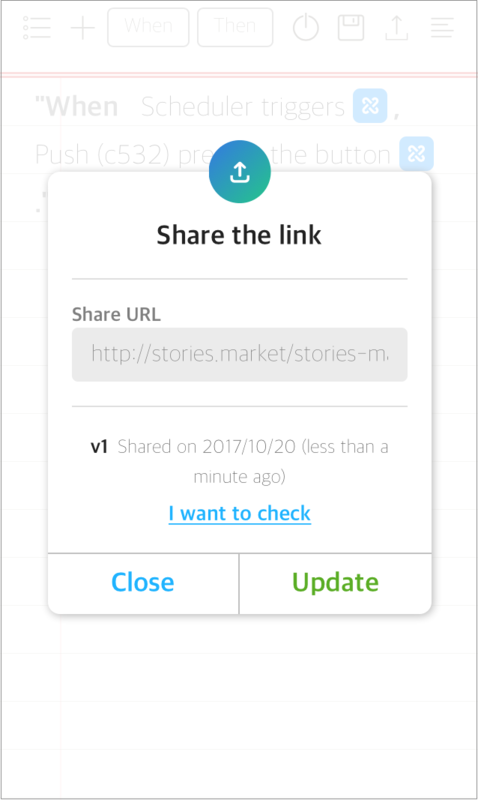 Once your story is ready to be shared, your storyline's URL appears in the window. Simply copy the link and send it to the users you want. 1. Click on the storyline's link that you received from another user. You will be redirected to Prota Space. 2. 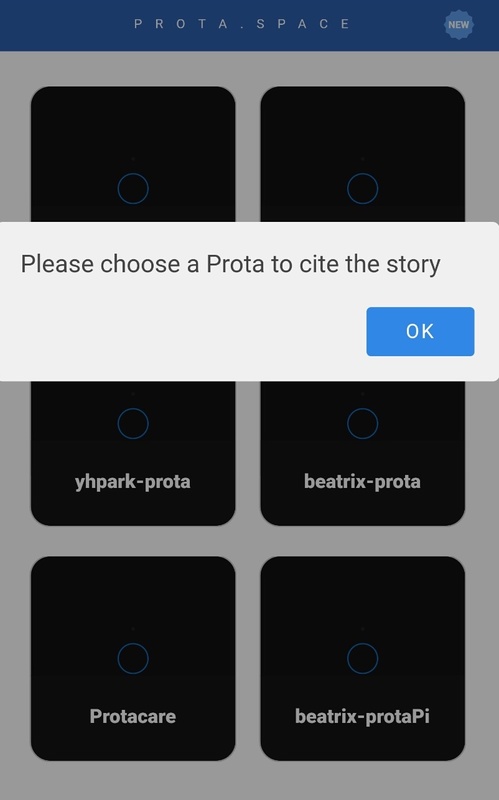 A message appears asking you to choose the Prota you want to cite the story into. Select your Prota. 3. After selecting your Prota, you are redirected to your Prota's Stories app. Wait for the storyline to download itself. 5. Save your story and it's done!